Ankarsrum Mixer - Bread Beckers, Inc.
"I love Bread Beckers... your original BB cookbook is excellent. I've just "touched the surface" of grinding and doing things the natural way." 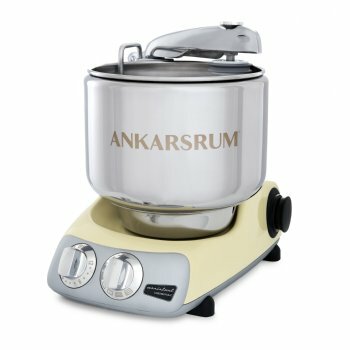 The Ankarsrum Original Kitchen Machine (formerly known as Verona, Magic Mill, Electrolux Assistent, DLX), a favorite mixer of Swedish cooks since 1940, is now available for North American homeowners. Fashioned from sturdy chrome and steel, this 600 watt professional quality kitchen tool is a durable all-purpose mixer that produces superior baking results. A variety of optional attachments transforms the Ankarsrum Original into a complete kitchen center, eliminating the need for a separate food processor, meat grinder, or slicer. The Ankarsrum Original offers professional functionality and versatility in one convenient countertop tool.